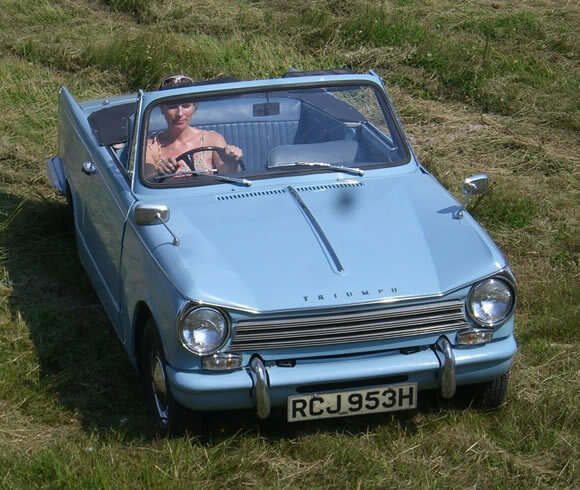 I saw a Triumph Herald today and had to post one because it reminded me of my Great Aunt. She drove a baby blue convetible right up into her 90's. I used to like pulling up in her driveway, seeing it sitting there in mint condition, knowing she could still drive it. She was a very elegant woman and looked very cool driving it. It was one of the first cars I really liked and I never got to go for a drive in it. Unfortunately I have no idea where it is now but it was definitely a great example of beautiful motoring. What a brilliant turning circle !!! And the 6 cylinder Vitesse wasn't so shabby either.